lOOK AT ALL THESE ICONS I would even say some are heretical! This ones really odd and I have absolutely no idea what it's trying to depict. All I know is it is an old believer created icon. I wonder whose face the woman is standing on. have a read of the link I provided it explains everything! Looks like the moon, but I haven't clicked the link. Wow, I won a cookie. I find it interesting that the dragon in this one kind of looks like Anubis. I wonder if that was meant to convey anything in particular here. I don't see that in other examples of this icon. Maybe this was made before the prohibition of Cynocephalic icons? it certainly looks like it could be from the 16th century. It's possibly later than that because from what I've seen, icons of St. Christopher and others as Cynocephalus are quite common among old believer icons probably due to a reaction to the banning of it among the synodal church. The article Orthodox_slav linked says that the type appeared in the latter half of the sixteenth century. 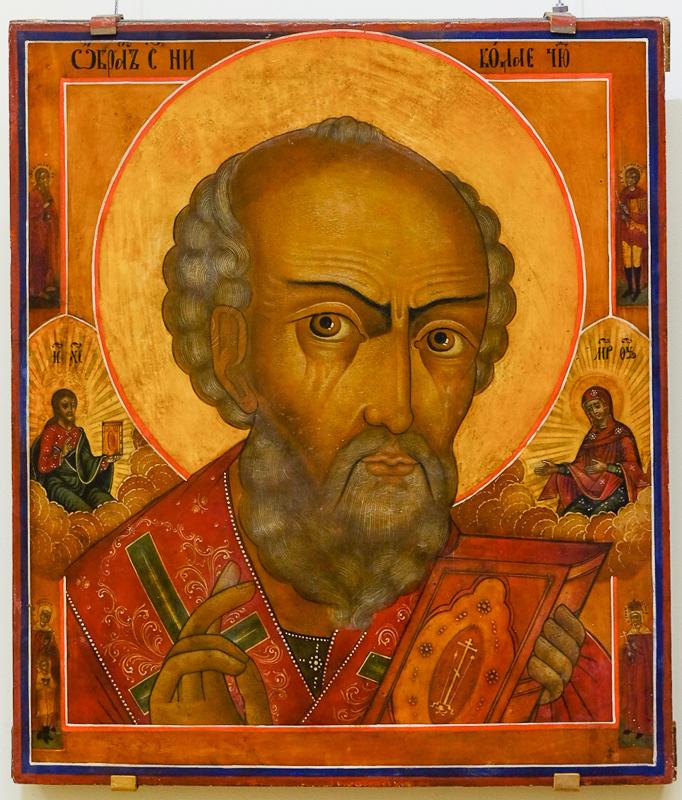 I've noticed that multiple old believer icons of Saint Nicholas have him in a composition that may be particular to them. They are, strangely, all very close up to his face and he sometimes has a rather stern expression. They remind me of the contemporary painting of Tsar Ivan the Terrible, but I'm not sure if there is an iconographical connection. They come off as extremely different from other icons of St. Nicholas, especially Greek ones and most before the schism in Russia. Ivan the Terrible is the last one. 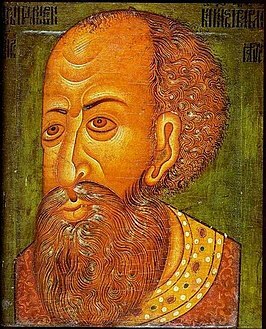 this is a famous old believer type of icon I forgot the name but it is meant to ward away satan with his stern stare! Is he supposed to be stern or just serious? There's a bit of a difference. That's way cooler than I was thinking the meaning would be. The first one rubs me the wrong way. It's like St. Nicholas is scolding a child. You better watch out. You better not cry. You better not pout. I’m tellin’ you why. St. Nicholas is coming to a theater near you. I don't know if you can consider them schlock or just strange, and perhaps they've been posted earlier on this forum (I'm too lazy to check), but has anyone come across this guy's deviant art for iconography? Most of his subjects are Roman Catholic post-schism saints, but there's quite a number of pre-schism Saints as well. I have seen his work and in my opinion, this is strange and not real icons as icons have a particular style and this is not one of those many styles! From an artistic standpoint, they aren't that bad. 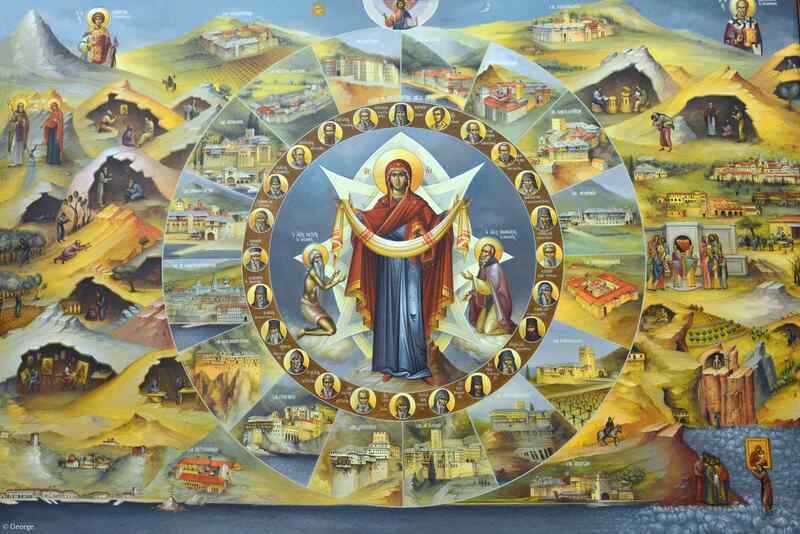 From the Orthodox standpoint, they look like a slight upgrade from MonasteryIcons. They're all so handsome. It's odd how they all have blue eyes as well. They look like some young English model made a photoshoot dressed like many saints. Yes, variations of the same guy. Saint Augustine looks like he's modeled on young Paul Rudd. As for the images generally, the similarity of the style with comic book art is too distracting for them to really work as icons. ''the merciful mother of the mentally ill'' that's a new one! 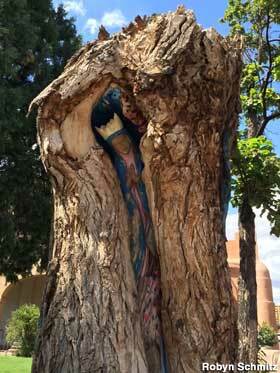 An RC group under the patronage of a saint dedicated to the mentally ill commissioned it. At least this one had a good message behind hit. St. Sampson, pray for us! 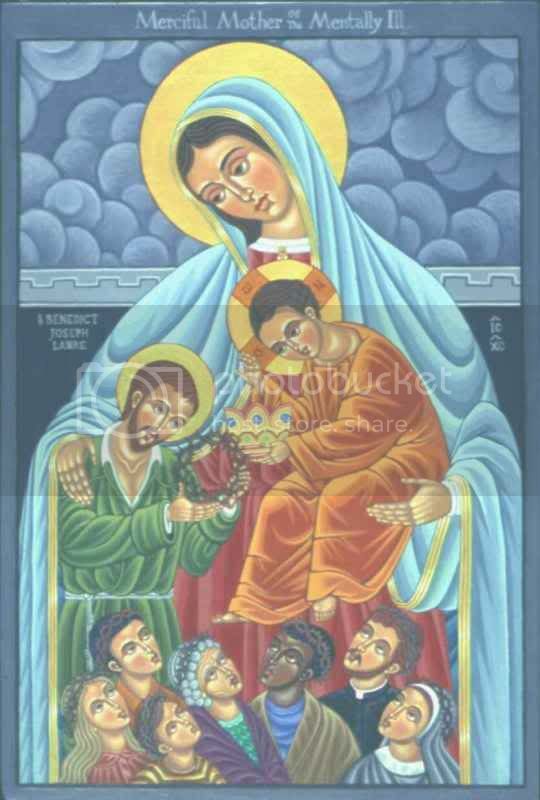 This seems more like Byzantine art than an icon really, but it's kind of neat. Is this actually from somewhere on Mount Athos? Oh, this is perfect! Thank you for the link!